Trump did not announce the candidate sites, but some observers have speculated that the president’s Mar-a-Lago estate in Florida and Seoul could be possibilities. 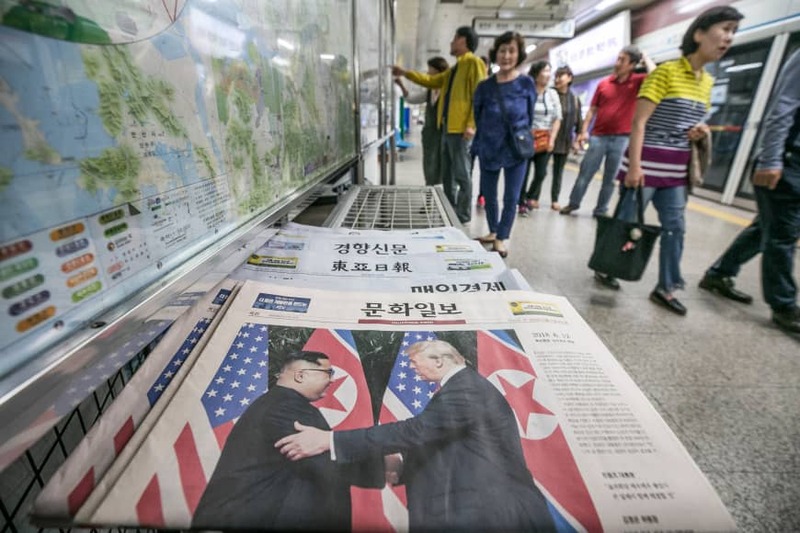 At the Singapore meeting, Kim agreed to a vaguely worded 1½-page joint statement to “work towards the complete denuclearization of the Korean Peninsula,” while Trump committed to “provide security guarantees” to the North Korean regime. But there has been little progress since, with denuclearization talks between the two countries effectively deadlocked. Pyongyang has not tested a missile since November last year. With that test, of its powerful Hwasong-15 intercontinental ballistic missile — which experts believe is capable of striking most, if not all, of the United States — the North said it had “completed” its nuclear program. But Trump has faced criticism over his claims of progress, with some saying there is no evidence the North has taken significant steps toward denuclearization, despite the president’s remarks to the contrary. “We’re working hard at it. I think it’ll happen shortly after the first of the year,” Pompeo said in an interview with CNN. Pompeo also pointed to the halted missile and nuclear tests, and said that talks between the two sides were ongoing. It was not clear what a “substantive next step” would be, but Washington has reportedly pushed for a declaration detailing the North’s weapons programs or a promise to rein in the deployment of its existing arsenal. For its part, the North has said that crushing economic sanctions must be eased as a “corresponding” measure after its unilateral missile and nuclear test moratorium, the destruction of its main nuclear test site and the ongoing dismantling of a key missile engine test facility. The White House, however, has given no hint that it is ready to lift sanctions. Stephen Nagy, a senior associate professor at International Christian University in Tokyo, said Trump’s interest in a second summit with Kim has likely grown after the midterm elections, which resulted in a Democratic-controlled House that is expected to question and resist his more adventurous foreign policy endeavors. Trump, Nagy said, is now having to orient his efforts toward areas of governance where he has the most ability to act unilaterally — namely on the North Korean nuclear issue. DPRK is the acronym for the North’s formal name, the Democratic People’s Republic of Korea. 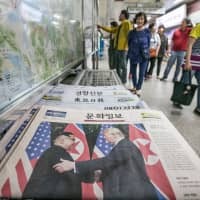 Nagy, who also serves as a visiting fellow at the Japan Institute for International Affairs in Tokyo, added that such a breakthrough could see North Korea making additional gestures such as destroying other missile systems, dismantling launch sites, revealing additional uranium processing sites or agreeing to international inspections.